Haiku is a short poetic form that seems simple, but can be very difficult to write if you want to stay true to the art form. I have a limited knowledge of the true essence of haiku, but, like many teachers, tend to use it as a go-to form of poetry that students can use to respond to content or write something on the spot. I need to write now. A poem to respond with. But although that strand of three lines fits the form in syllables, it is not haiku. In true haiku, you need to capture a moment in few syllables; translate an image or a feeling to the reader that is extraordinary, not simply string syllables together to make a point. The other day for science, I asked my students to write haiku in response to nature. 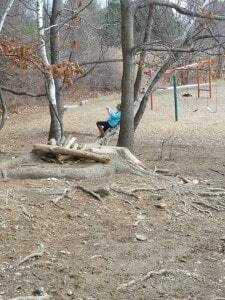 We were going outside to examine the erosion that is happening in the woods by our playground. But before we headed outside, I read excerpts from a book by Paul Janeczko called How to Write Haiku and other Short Poems. 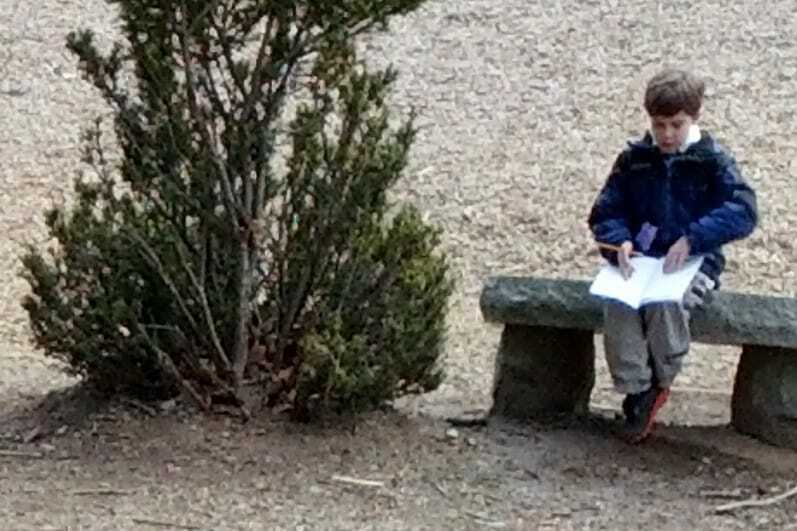 Through the reading, we discovered that writing a haiku deserved a lot more time than we had expected and so we tried to focus on one part that contributes to a great haiku: the haiku moment. As I prepped my students to head outside and observe the erosion and look at the natural world behind our school, my main focus was for them to find a haiku moment: something worth stopping to look at, admire, sketch or even write a haiku about. Once we were outside, the students were happy to wonder and search. Some sat in a tree and looked around, others wondered over broken branches and looked off to the stream that trickled in the distance. 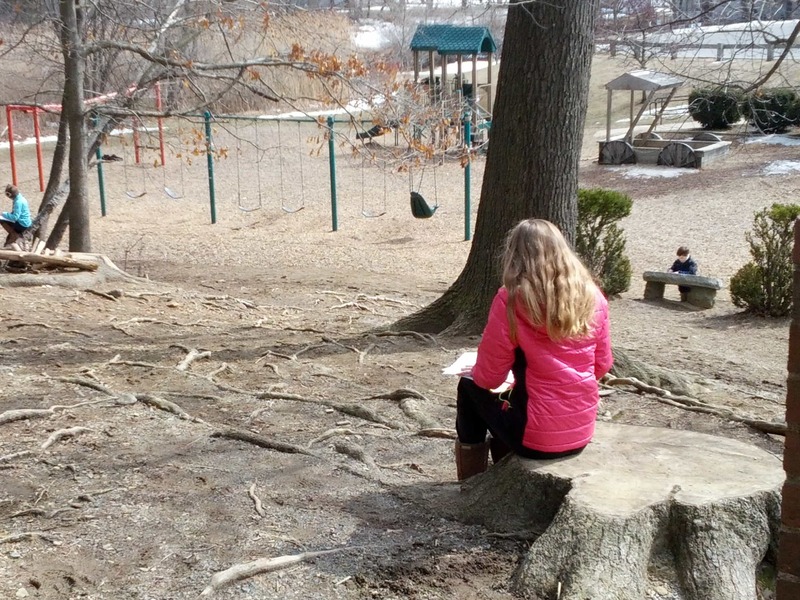 Every student found something and paused for some time to take in their haiku moment and jot something down in their sketch-reflection journals. Some even wrote a haiku – or at least started to. Many students, in a moment of excitement at what they found, got my attention, stating in a shout-whisper, “Mrs. Peterson! Come over here. Look!” Some friends shared moments with friends, while others seemed to just take it all in in a moment of solitude far away from the rest of the class. It was such an enjoyable time: roaming in the quiet and finding a haiku moment. It’s a good reminder for all of us to slow down and find one every so often – even if it means doing so in science class!